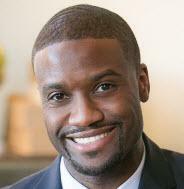 Efrem is a former Division I college basketball player turned Personal Injury Attorney. He channel's his competitive drive towards effectively representing clients. Efrem has a intimate relationship with injury. He has had reconstructive knee surgery on his left knee as well as lower back surgery. Just like many clients, the naked eye cannot see that Efrem's suffered such injuries. In his Personal Injury practice, a one on one relationship with clients is extremely important. Efrem invites clients to multiple face to face meetings to hear and see each client's story. Your family is important to your story, so they may be invited to tell their part the story. As Efrem's client, you will be confident that he knows you and the lives that have been altered due to your injury. Efrem provides an honest and fair evaluation on whether to settle or litigate based on Time, Risk, Costs, and Potential Final Results. You are more than just a file.